I don't know about you, but one of the beauty routines I hate most during winter is hair washing. I hate the dripping wet feeling when coming out of the shower in freezing temperature in mornings or at night and the need to endure the naked stand in the bathroom while I use the hair dryer to blast my hair dry for a good 10 to 15 minutes. Sure, a good hair dryer helps speed this process up, but I still have to stand there to towel dry my hair, followed by blow drying and a styling attempt afterward. Being the lazy and enterprising person I am, I thought it was time to look at dry shampoos as a means of refreshing my hair in between my twice weekly washing days while I wait for the warmer weather to arrive for more pleasant hair washing experiences. used on 3 day old head of hair, it did mop up some of the grease on my head and gave some volume back to roots. contains alcohol which is used as the propellant and quickly evaporates when sprayed - I found it slightly drying on hair with daily use. being a white powder, it took alot of effort and much brushing to remove the dry shampoo out of my thick and dark coloured hair. can aggravate head with all the extra brushing if you are dandruff prone. Sometimes it was hard to work out whether I was brushing off oat meal or dandruff flakes. 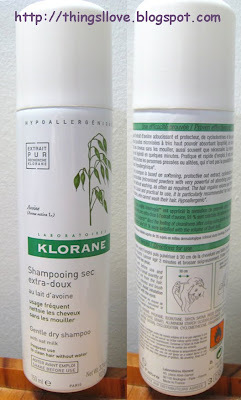 as I have thick hair, a 150ml can lasted just over 3 uses, making it quite cost ineffective for frequent use. 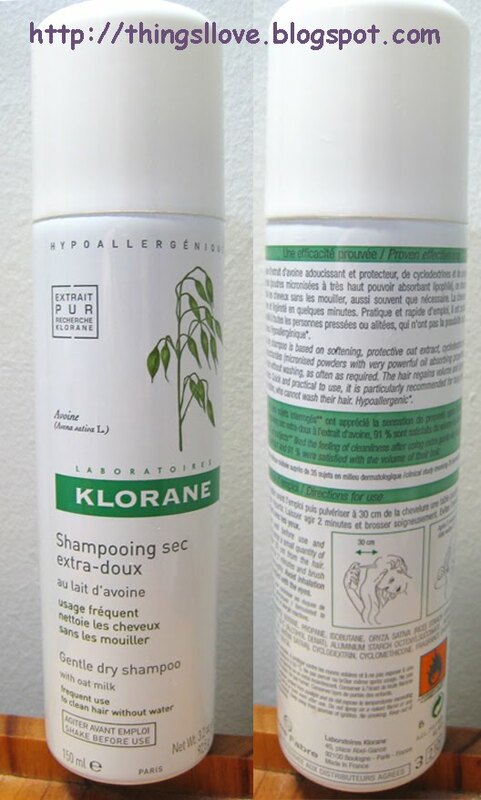 After trying out dry shampoos, I think they are a poor man's substitute for hair washing and not all that much more convenient than the real deal unless you are chair or bed bound and have little other choice. I did not find that the dry shampoo powder gave me back enough lift and volume back to my hair, nor did it cleaned hair very properly. Even in this inconvenient cold weather, I rather bring in the portable heater into my non-heated bathroom to wash my hair the proper way. In my last post, I wrote about my love for rosehip oil (RHO) but found that most of the commercial brands sold rosehip oil in small bottles of 15 to 25ml at $20 - $25 a pop. This eventually ends up being costly as I use it as a treatment serum on my face and for stretchmarks as well as a moisturising treatment on my arms and legs and use up the small bottle within 2 weeks. So in search for bulk quantities at more affordable prices, I embarked on some research to find out more on rosehip oil. Through my search, I met the lovely Jacqui of Tassie based Essential Oils & Soap, who stocks 100% organic and unrefined Rosa Rubiginosa from Chile at A$18 for 100ml bottle (she actually fills it to the brim and it is labelled as 110ml). She's saved my wallet and my skin with her lovely products selling natural soaps and other oils as well. 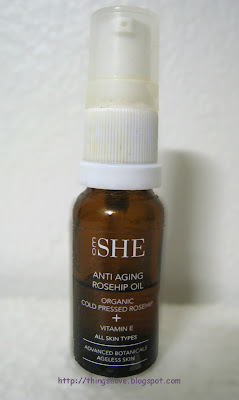 has all the qualities I love of the SHE rosehip oil but without the price tag to go with it. I'm converted and so is my mum, who often steals my bottle of RHO to use. Tip: if you find the natural smokey tea scent a bit too strong for your liking on the face, mix 2 part rosehip oil with 1 part jojoba oil (a great non-greasy oil that has properties like skin's natural sebum) and a few drops of your favourite essential oil (eg. lavender) to give skin its moisturising needs while the rosehip does the hard work to heal/renew the skin. So if you are also looking for affordable RHO, do give this organic and fresh version a try. Your skin will thank you for using the best quality product available while keeping your wallet happy (so you can buy more beauty items to try). Rating: 10/10. Definitely a must have oil for in my daily skincare routine for refining and firming of skin. 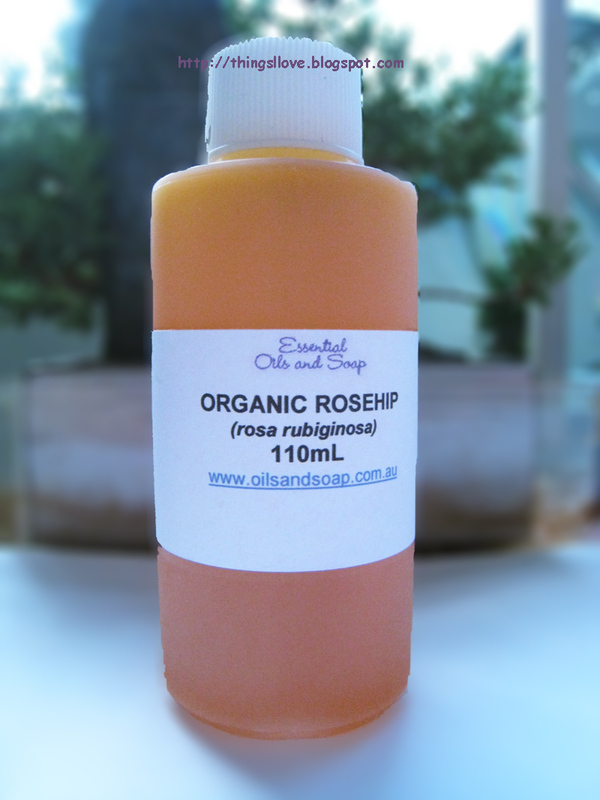 Pure Rosa Rubiginosa oil RRP $A7.70/$A18 for 25ml/100ml at Essential Oils & Soap. When you hear the word oil in skincare, the image of greasy skin, shininess and pore clogging skin would pop up in many people's head. Oil have been given a bad rep but not all oils are equal and in fact, many are good for you - especially if you have dry or sensitive skin. Some oils can make a world of a difference to your skin and may even help to relieve some skin conditions. My skin is hating the winter this year as it has been particularly cold and windy. My typically normal/combination skin has decided to revolt and is becoming more dry and sensitive, and my skin was craving oil like it has never before. Despite being normally afraid of oils on my face for fear it might cause skin congestions, I kept reading and hearing that rosehip oil is great for dry skin and assists with healing scars, I finally decided it was a 'must try' item for my parched skin. I think I may found an oil that works as well on my skin as the more fancy and expensive creams and lotions for skin firming and soothing. The only problem I now have is that my body (especially the scaly legs) loves rosehip oil as much as my face and I find that a bottle would last me just under 2 weeks before running out. The quest is on for buying this product in large quanities at affordable pricing. Stay tuned on my quest to hunt for alternative rosehip oils. 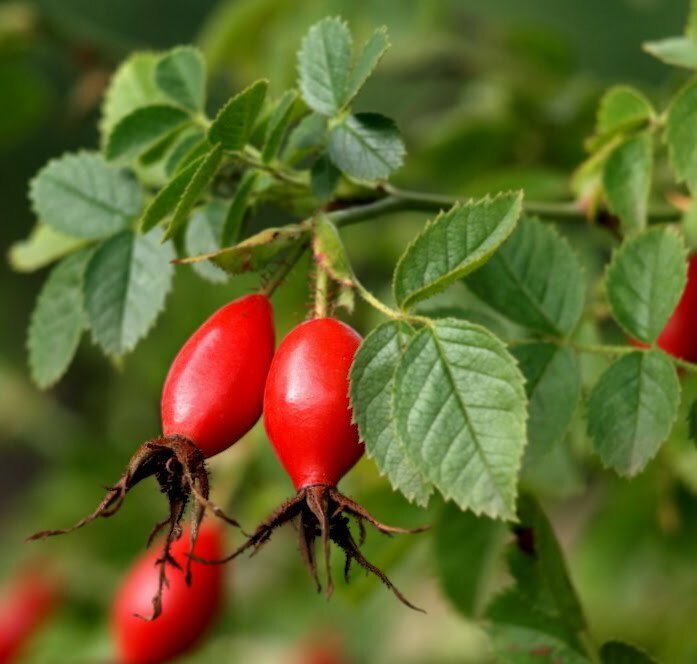 Have you tried rosehip oil yet? which is your favourite brand? Rating: 9/10. 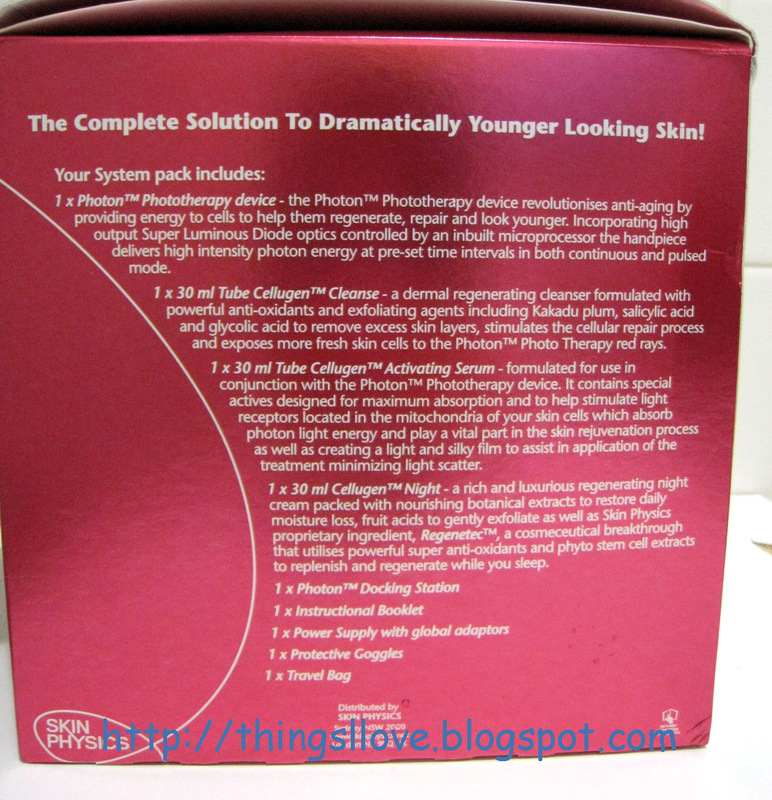 Definitely a must have product for addressing fine lines, fading new scars and firming skin up. Given that we Aussies live in one of the most southern countries in the world and the fact that there is a big gaping hole in the ozone layer just over neighbouring Antarctica, looking after our skin from the suns harmful UV rays should be our #1 imperative (well it is mine). UVB is what causes skin to go red and burn as it damages the skin's epidermal layers and is a key cause of nasty skin cancers such as melanoma while UVA, although less intense than UVB, is more prevalent in our atmosphere and is associated with photo-aging, skin aging, freckling and pigmentation. UVA rays can penetrate deeper into the basal of the epidermis and causes much untold damage many years later on. So, short of staying indoors and never seeing the light of day or completely covering up, sunscreen is one of the most important products out there that one can use to protect our skin when we find ourselves out and about during the day. Not all sunscreens are created equal and when looking for one, make sure that it provides broad spectrum protection (which will block out both UVA and UVB rays) and ideally should be Skin Protection Factor aka SPF 30+). 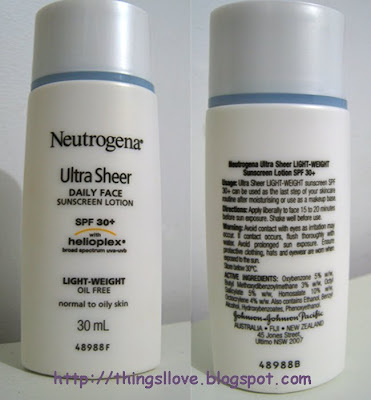 The Australian Therapeutic Goods Administrators or TGA (think US FDA counterparts) have restricted labelling to show no higher SPF than 30+ as it can mislead consumers and lull them into a false sense of security that SPF 50 is better than 30 when in fact after application on skin, there is no significant increase in skin protection provided by the higher SPF sunscreens. Also different country applies tests for SPF differently so ratings vary considerably according to country. As a guide, Australian SPF30+ allows transmission of 3.4% of UV radiation onto skin which is more than enough for the daily UV rays our skin needs for vitamin D synthesis and healthy bone development. I like my facial sunscreens lightweight and non-greasy. When I came across Neutrogena Ultra Sheer Daily face sunscreen lotion, I was instantly interested and the new helioplex technology promising a more stable sunscreen was too hard to resist. 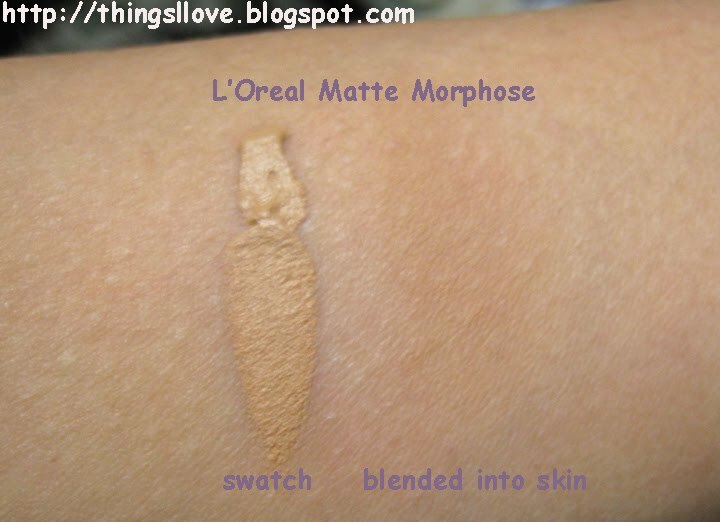 I love the texture and how it was quickly absorbed into my skin. It is a shame I can't use this product long term as an ingredient caused my skin to react to it after a period of use. I now use this solely on my hands and neck as its a lovely product for those areas, just not on my face. 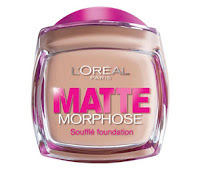 I would love to see a re-formulated version that doesn't break me out as it gives a nice matte finish to the face. RRP A$14.99 at all good chemists and Target, Big-W and Kmart stores. 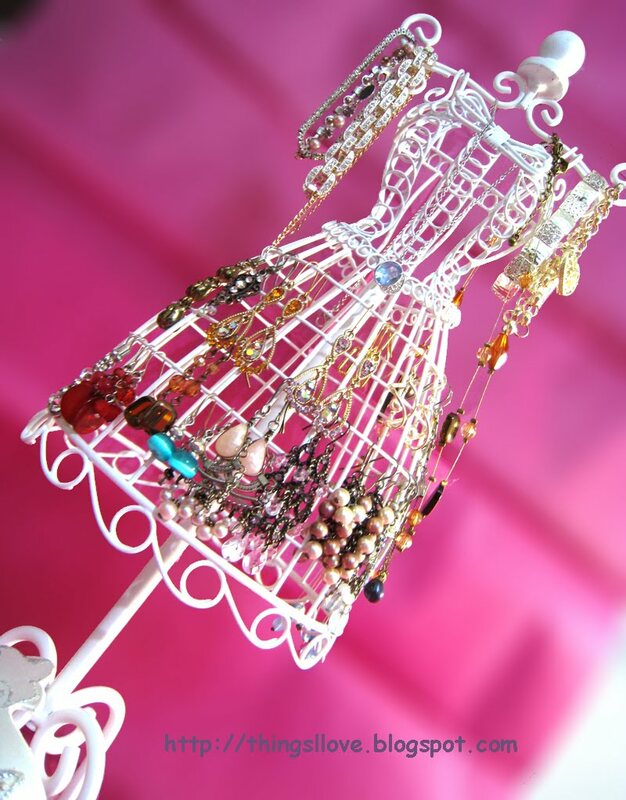 There are many jewelery stands and boxes out there but it's sometimes hard to find a pretty jewellery stand that can actually hold more than a few pieces of items, particularly hook earrings as these need their own slots for each earring. 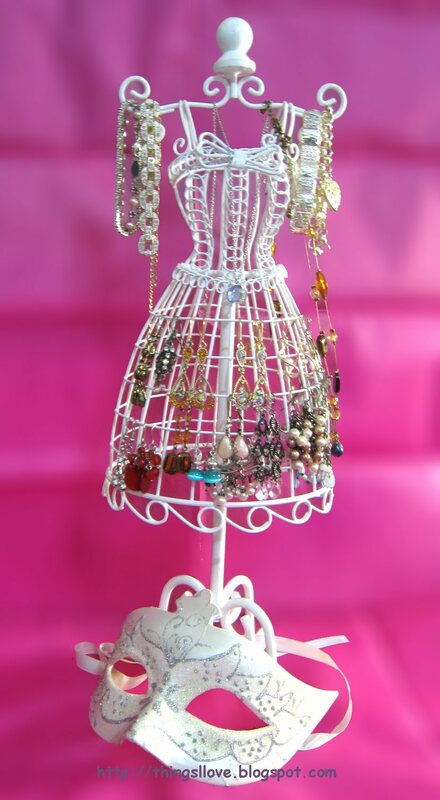 So it was a great find the other day when I stumbled across the prettiest dressmaker's mannequin inspired wire jewellery stand. It is sturdy and stable and has many holes to hook your earrings around the wire skirt, turning the dress into a pretty kaleidoscope of your favourite earrings while the wire arms allow you to drap necklaces and bracelets over on top. Don't you think she is a wonderful piece of functional art? So how do you normally store your jewellery? RRP A$19. Available in Target stores nationwide. After reading so many raving reviews on MUA and various forums, I finally relented and jumped on the Clarisonic band wagon. As this product is not yet available in Australia, I relied on ebay to pick up a unit with a universal adaptor so it could be also used with 240 volt electricity. sonic technology (gentle vibrations, not rotations) gently yet effectively loosen dirt and oil to clear pores. Why did I get this outrageously expensive brush? I have a some acne scarring from my early uni days (which is donkey years ago) and had been using Retin-A to fade those scars and keep my pores clear. 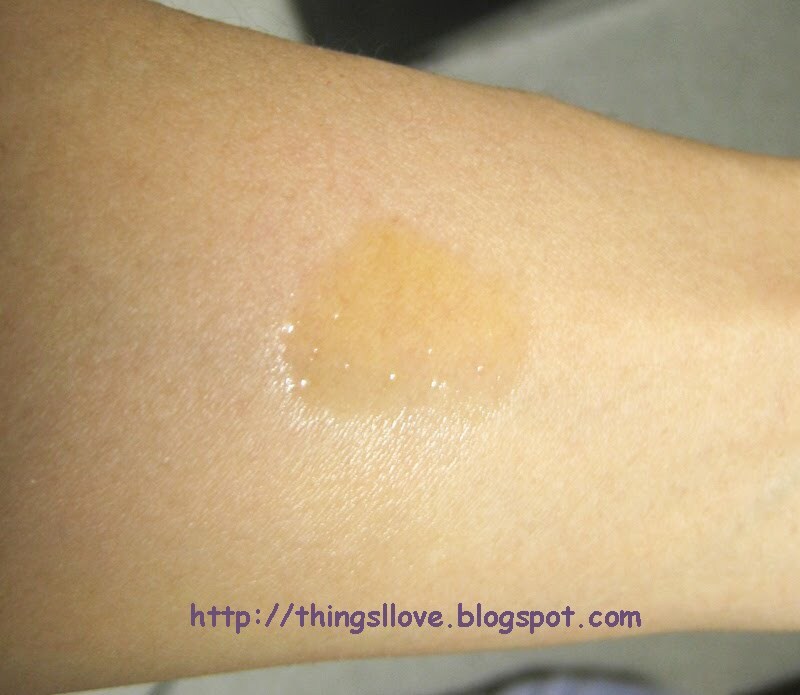 A side effect of using Retin-A is severe dry patches and flaking skin. I can't even put on makeup without my skin looking like it's falling to bits some days. Chemical (AHA/BHA cleansers) and manual exfoliation has controlled it to an extent, but some days, I feel like I'm shedding like a snake. 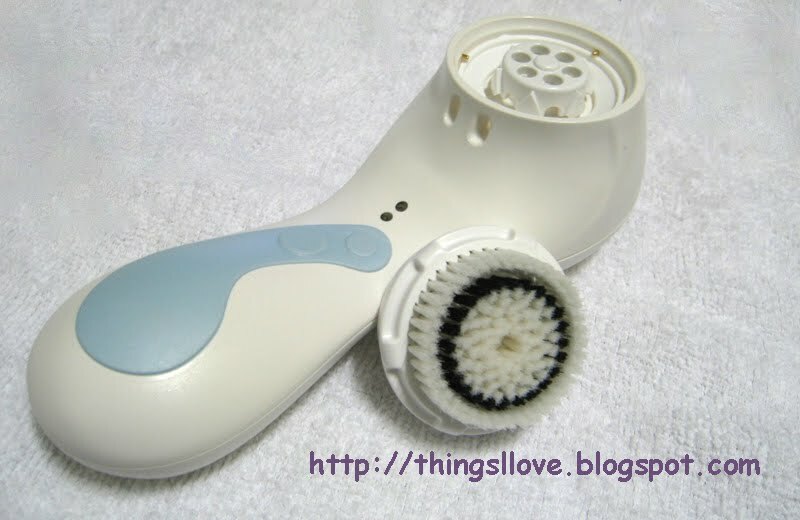 The other reason I wanted the Clarisonic so bad is because of the buzz around this brush's ability to prep the skin and assist skincare products to absorb faster and deeper, thus ensuring better results as well as using less amount of the product. Any boost I can get would mean expensive cream and lotions are more worthwhile as its more effective. How can I say no to skincare products working smarter for me? There are various Clarisonic units, the smaller Mia which only has one speed, the Classic has 2 speeds, the Plus with 3 variable speed settings and a body body brush attachment option and finally the new Pro version with 4 variable face brush settings as well as the body brush option. Only the Mia, Plus and Pro models comes with the international charger options so my choices were narrowed making my decision easier. I opted for the Pro as I wanted to use the brush on my body and have all the speed options available. Since I've committed to forking out a big fortune, I may as well pay a bit more and get the crème de la crème. 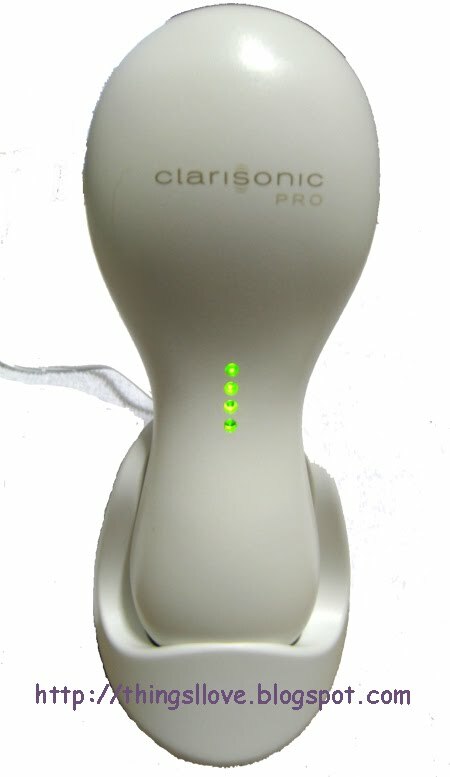 The Claisonic pro kit comes with a brush unit, a universal (multi-voltage) charger cradle, a sensitive (white) face brush attachment and 3 travel sized cleansers. I also purchased separately a normal face brush (grey) and a body brush attachment. You need to charge this thing before first use for a whole 24 hours (talk about the longest charge ever for such a small product - my Skin Physics only took 3 hours). There are 4 charging lights on the back of the brush to indicate how much charge is remaining. During charge, these will blink and increment according to the level it's been charged up to. When fully charged, all 4 green lights will stop blinking. Yay - finally full charged after 24 hrs with all 4 green lights on! There's 4 speed options (gentle, normal, fast, pro with each higher speed producing more rapid and stronger vibrating movements) for use with the face brush. When the body brush attachment is on, the speed option cycles through a constant or pulse vibration mode. Timer options - the unit comes pre-set with a 1 minute cleansing cycle but you can double that to 2 minutes. There's a timer beep that let you know when you should move to different parts of your face during use which I don't always pay attention to. After testing the speeds, I settled on gentle speed for my cheeks to avoid that area feeling too raw or sensitive. I use the fast speed on my forehead on T-zones for extra exfoliation and the pro speed on my neck and decolletage as skin is less sensitive in that area. I changed to the longer timer option as I love the cleansing experience and needed the extra time to remove my flaky skin. you only need to allow your brush head to gently touch the skin during use, there is no need to press hard as the vibrations will do all the work for you. after use, my skin felt very soft, silky and velvety, like I've just had a mini facial. skin looks radiant and even. pores do appear smaller, especially on nose and cheeks. Fewer congestion and skin outbreaks since use. blackhead go through a purging stage where they are initially more visible but after 1 week, is less visible. My nose is now heaps clearer. helps speed up healing of minor blemishes by bringing them to the surface quicker. occasionally use it morning and night but generally only once a day at night. I play it by ear. If my face feels sensitive, I won't overload it by using this brush. I never use it to remove a face full of makeup, preferring to take off the makeup with makeup remover. As I love double cleansing, the first cleanse is manual to remove makeup residues and the next one with the Clarisonic to really unclog gunk from pores and to buff off the flaky skin. for soft kissable lips, after cleansing the face, run the brush over lips for 10 seconds to exfoliate them. completely water proof so can be taken into shower for use. replacement brushes are so expensive. I try to get longer use out of it by dis-infecting it each week by soaking it in hot (not boiling) water with bi-carbonate soda and the washing it out with liquid soap (or a favourite liquid facial cleanser). With the body brush attachment, the brush becomes a great manual brush for backs, legs, elbows, heels and anywhere else that needs some TLC. can you see the oscillation movements on the body brush? Skin all over was soft and silky and baby bum smooth, parched scaly skin polishes right off and body butters sank in quickly into my skin. I love this as a weekly indulgent treat for my skin. Tip - remove the brush from the unit after every use so that any cleanser suds can be washed away and the brush and unit dries easily. It's also more hygienic and will prevent mould and bacteria growth in the grooves of the unit. The verdict - is it worth it? Absolutely. This is definitely an investment skincare item, but the polishing abilities is more effective than any face scrub or manual brush I've used yet gentle enough on skin for daily use. I wish I had this brush during my troubled skin years as I can see it helping to control oil and keep pores clear and keeping those pesky zits at bay. 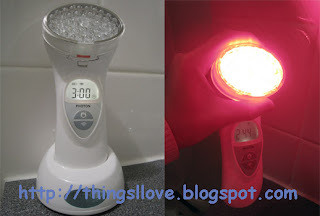 I love the luxe feel every time I use the Clarisonic and the healthy radiant complexion it gives me. The Pro unit is a nice-to-have brush for extra speed and brush options but if I was short on cash, I'd skip all the extra features and pick up the Mia (US$149) in a heartbeat. Want to read how it fares against the Clarisonic Mia? Click here to see my latest Clarisonic comparison review. Rating: 9/10. I ♥ this brush but 1 point off for the high starting price and high cost in replacement brushes. RRP A$299 A$269 (price drop since Oct 2011)/US$225 for Pro model with a body brush. Aussie stocklists here. 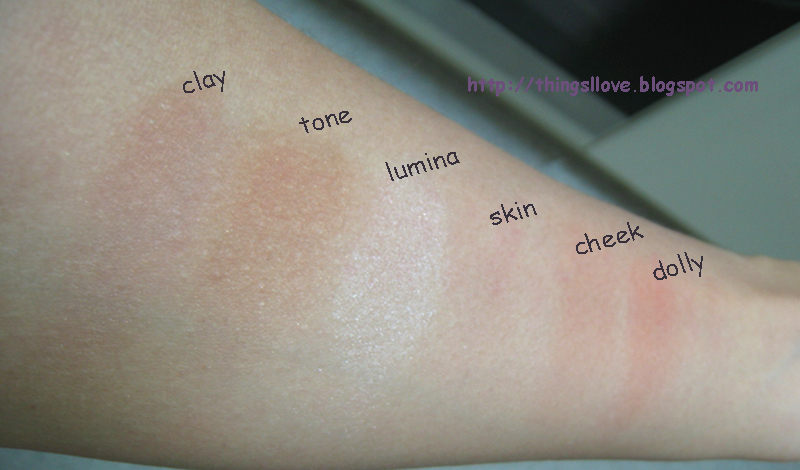 So here's the highly anticipated final batch of the iNouvi blusher swatches. 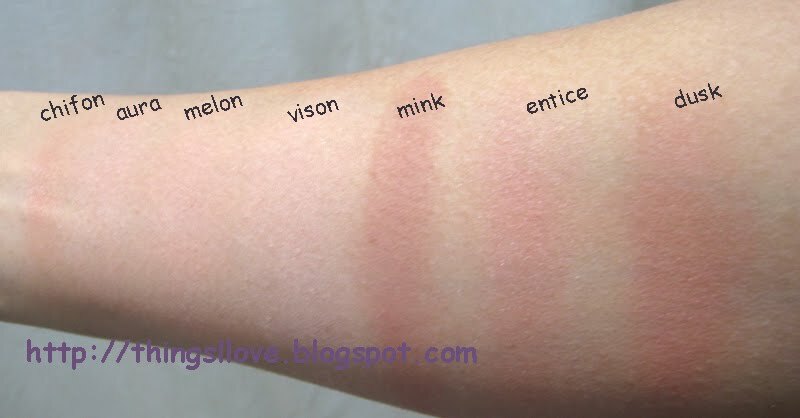 I hope you enjoy these swatches. If you have any questions, just ask away. 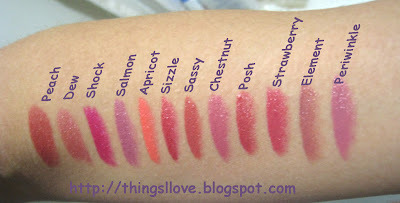 Be sure to also check part 1 of the blush swatches here. My iNouvi haul was express delivered to me today and I felt like a kid in a candy store when opening up the box. Here are the promised swatches. First up - lipsticks. looks very dark in the tube but goes on much or sheerer in shade so they are even prettier in real life. Dew, Sizzle, Sassy, Posh, element, Luxe, Apricot, Flame & Divine. Rating: 9/10. It's ♥ ♥ ♥ and at the current sale price, this is like finding gold. I'm off to swatch the blushes now. Check back again soon. 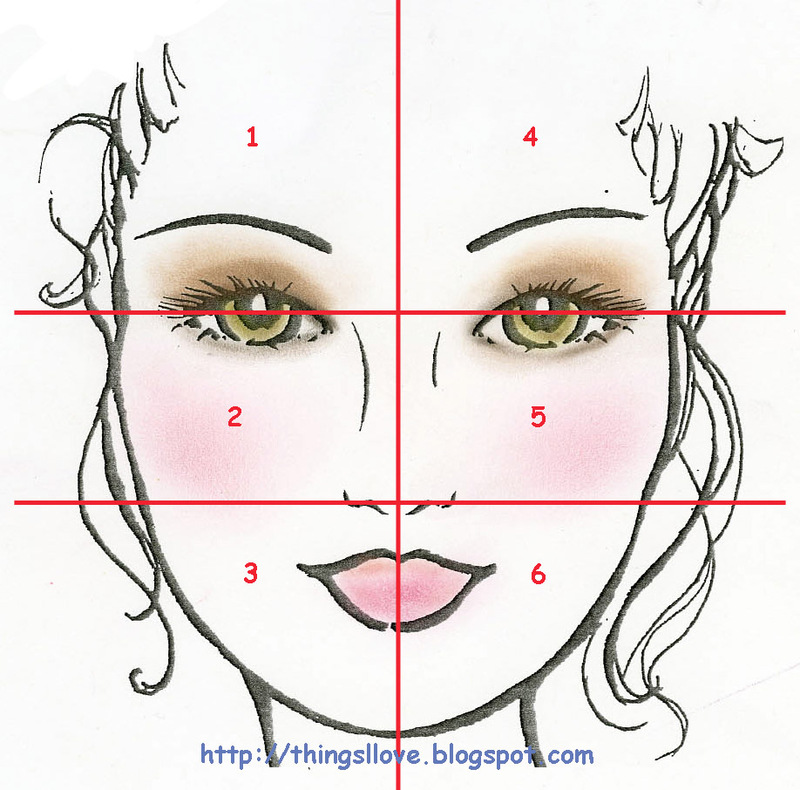 Having the right tools can enhance the joy of makeup applications emotionally and and improve your skills technically. The good ones can tame even some of the most difficult-to-work-with products and make them look good (or at least decent) on your skin. Makeup brushes are one of the most essential makeup tools, particularly foundation brushes as they are used to create a flawless canvas base for your face and and sets up the application of colours over it. Get your base application wrong and you may well end up with blotchy cheek colours and uneven bronzer applications which accentuates imperfections rather than blending them out. Always on the hunt for a good tool, I recently purchased the Sigma flat top synthetic kabuki: F80 (aka ss197, it's previous name) face brush to compare with my other buffer brushes. feels uber soft on skin - the best feature of synthetic brushes. It also means this brush will not soak up liquids so you use less product during application. circular head of dense short hair gives a full yet slightly stiff brush which gives the great buffing qualities on liquids and powders. does a stellar job in applying and buffing liquids for a flawless natural finish. foundation looks bonded to skin in the most seamless way. It does an ok job with powder application as it is too dense to apply sheerly but is great for finishing jobs to buff and polish out the powdery cakey look. Makes hard-to-blend products spread with ease. weight of long wooden lacquered handle feels comfortable on hand and gives good control with buffing products onto skin. Takes a long time to dry after washing due to density of hair. You might need to buy 2 if you plan to use it everyday and want to wash it regularly. flat head surface can deposit powders too heavily and so can create a cakey look without a lot of product buffing. To avoid this, swirl the product into the head of the brush and tap of excess so that no visible powder particles shows up on brush. tends to lose its circular shape easily and needs regular re-shaping - does not affect brush application though. with EDM flatop kabuki: the Everyday Minerals (EDM) brush is very similar in shape and head size, and although EDM is a dense synthetic brush, the Sigma one is denser. The bristles are longer on the EDM so it is slightly more floppy and more suited for powdered products (my HG for loose mineral foundations). EDM's handle is also shorter, which lends it more for use like a traditional kabuki brush. with Bare Escentuals heavenly face brush: this is the most similar to the Sigma F80 brush, in terms of shape, hair length and density. B.E is however, slightly bigger in size (the heavenly blush brush is more comparable in size) and made of natural hairs so it's not as soft as synthetic hairs (it's not scratchy either). It works well with both powder and liquid applications and for blending/buffing especially if you have over-applied your coloured products. This is a far superior brush to the Sigma brush for its versatility and would be my desert island brush. 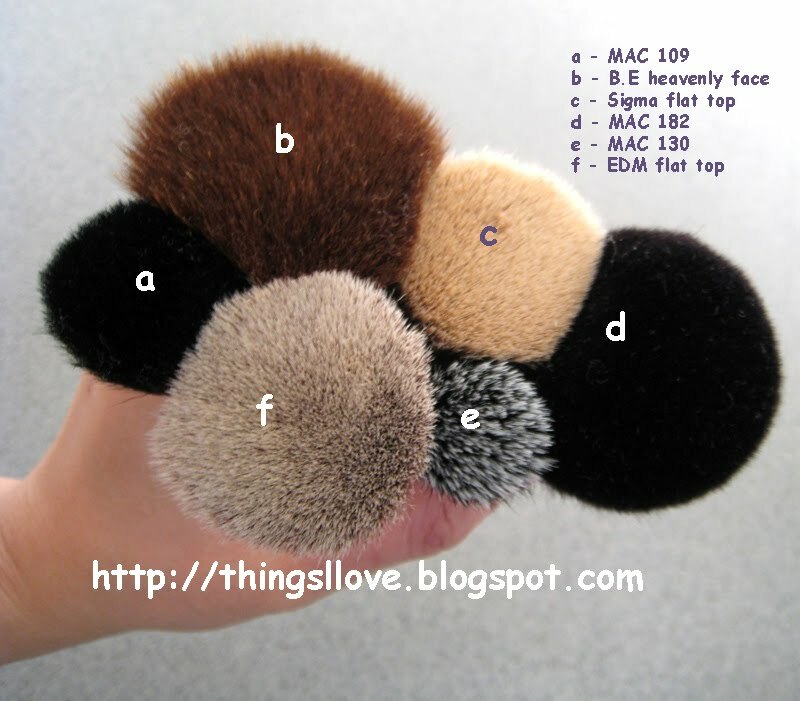 with the MAC 130 duo fibre buffer brush: this is a much smaller brush and is made with goat hair and longer synthetic hairs. This brush does an excellent job with both powder and liquids and gives a seamless blended look. This brush would also allow you to build your coverage up slowly without it looking too cakey. Due to its small brush size, it does take longer and more effort to use for the whole face and is probably better suited for use around contours of the nose, mouth and around eyes. with the MAC 109 brush: this is again a small contour brush with a slightly dome head. Made of soft dyed black goat hair, it is great for contouring and highlighting given its size. 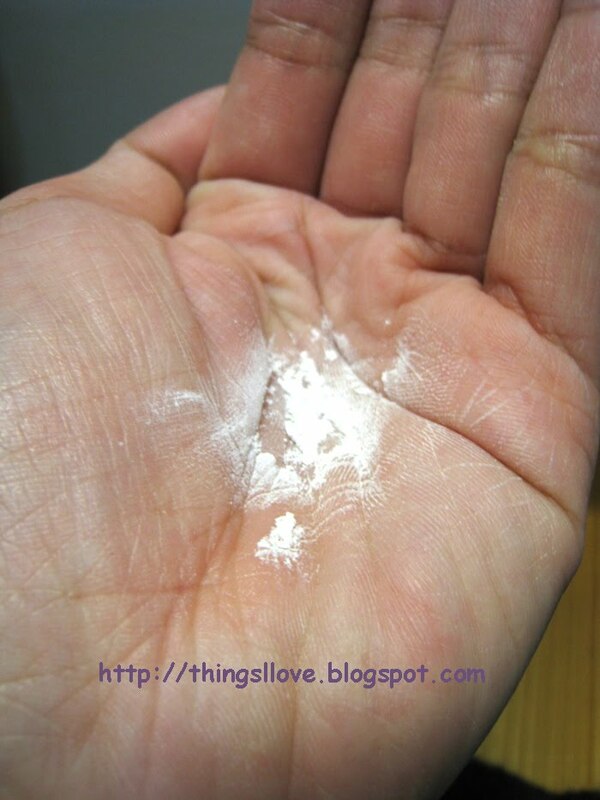 Unless you want to spend extra time picking out hairs off your face, it is best left for use with powdered or creme products as it becomes a crazy shedding animal when used with liquids. with MAC 182 buffer brush: this is a larger dome shaped brush so already would give a different application effect than a flat top brush. Like the 109, it is made of dyed natural goat hair so is better at grabbing powder products than synthetic brushes for buildable applications. 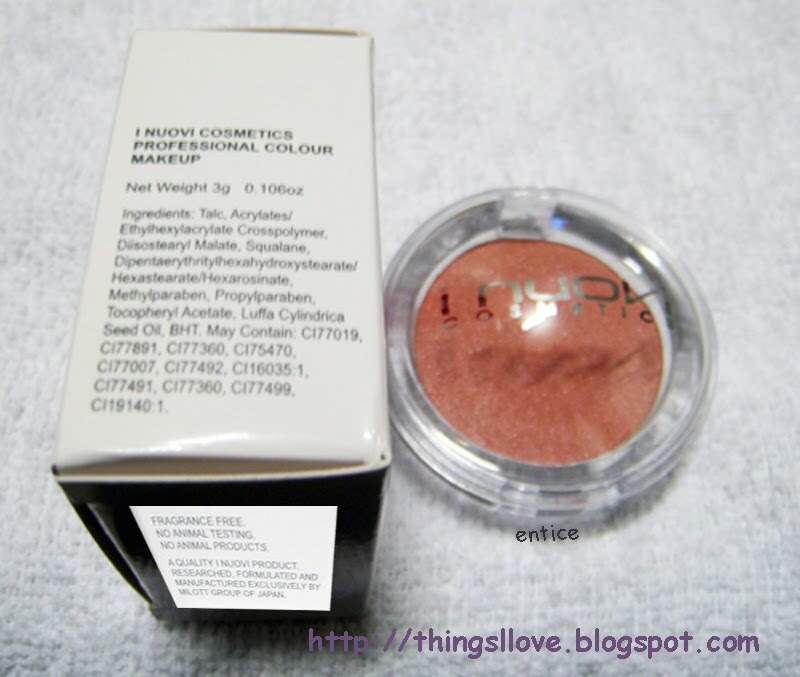 It does a good job with loose and pressed powders but tends to shed when used with liquid products. I reserve this for powder uses only as it gives a very diffused finish that is easy to build up to the coverage I want. A better comparison would be with the MAC 180 white goat hair flat top buffer brush but I don't own that so cannot do a direct comparison. All brushes stood up well against shedding. Other than the stray hairs from manufacture, I've not experience any hair loss on the Sigma or the EDM (and I've owned that for over 2 years now). B.E did shed a hair or two occasionally but nothing that other natural hair brushes don't do and is not a issue. MAC brushes I have found to be a hit or miss with shedding - the same type brush can shed for one and hardly at all for another (MAC really need to get their quality control under order) - fortunately, my MAC 182 and 130 do not shed (sadly the same can't be said for the 109). The Sigma brush is a great addition to my already vast makeup brush collection and it gets a lot of love from me. It's fast becoming my favourite and only go-to liquid/cream foundation brush for application and polishing work. It puts the MAC 109 brush to shame for liquids. 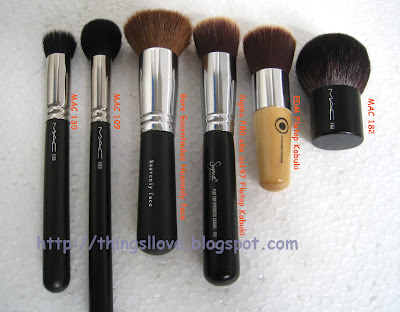 For powders, I would use other brushes just because I have other better tools at my disposal but if I were not to have other options, I wouldn't complain too much about having to use it for powders. Rating: 9/10. I ♥ this brush for liquid/cream foundations. iNouvi Professional Cosmetics is probably a lesser known makeup brand in Australia but have been hugely popular in Asian countries since their establishment in 1996.
intelligent makeup - combines makeup with skincare by featuring pigment rich colours enriched with antioxidants, botanical extracts and vitamins. developed in Italy, France and Japan for professional use. all products are formulated fragrance-free, non-comedogenic and without any animal-derived ingredients. I'm unaware of many places that stock iNouvi products in Australia (in fact, I wasn't even aware of their existence till a week ago) but have found out recently that all iNouvi products are on sale at Stefan's Hair Fashion Shop for $1AUD each. That's right, this is not a typo folks. Although the product range at Stefan's is quite limited, the colours available for the the top selling lipsticks and blushers are almost complete and are a real steal at only a mere $1AUD each (do I have to repeat this one more time?). The swatches online on the iNouvi site are not too helpful, as some colours appear quite different when compared to the real life swatches I've seen online. It does, however, give an idea of what colour family the shade is in. For swatches to the lipsticks, visit Jojoba's blog - she's swatched almost all of them. She also rated quite highly the concealer so give that a try also. I have not found any good swatch sites for the blushers, but fear not, yours truly have ordered the entire range that Stefan has on offer so should be able to do some swatching of them next week (all in the name of beauty blogging of course :-)). There are only a limited range for eye products on sale which is a shame but if any of the colours take your fancy, definitely pick them up. Be quick, I'm sure this absolute bargain at Stefan won't last too much longer and will sell out in no time. Happy shopping everyone. P.S - Shipping is flat rate $11 Australia wide. Those lucky locals in Brisbane or Sydney can probably go there in person and see the colours themselves and test them out before picking up these gems . I'm not sure if iNouvi products are stocked in all stores, so be sure to phone ahead before heading out there. Stefan also ships internationally at a higher rate (contact them for a quote). I'd say if you are picking up a good number of iNouvi items, the savings more than makes up for it many times over. P.P.S. - I've not yet tested or used any iNouvi products myself. I've just made my massive order of 71 items tonight, so I can't wait to receive them and try them out next week. 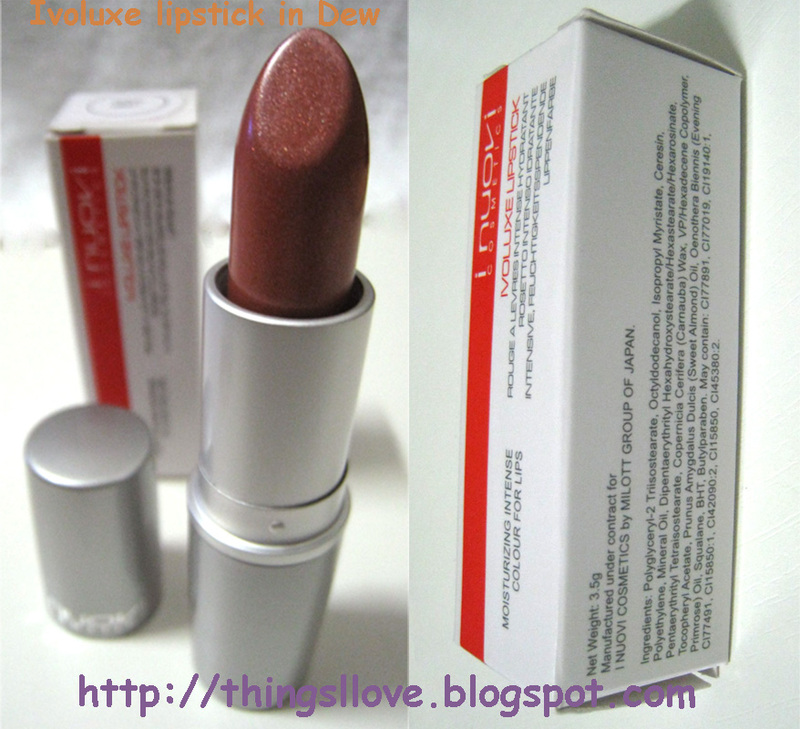 Edit: Go check out my swatches on the involuxe lipsticks here or see the blush swatches part 1 & part 2 posts. As we age, our cell turnover activity decreases, causing skin to look dull, blemishes and scars taking longer to heal and our faces loses is elasticity with less collagen produced over time. NASA was the first to pioneer the use of laser and red light to heal skin in space. 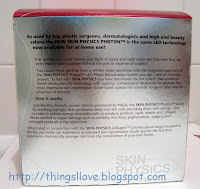 Red light LED (wave lengths used by NASA were 633nm red light) has been used for its an anti-aging properties due to its ability to stimulate the skin cells and provide them with energy so they increase their cellular level of activity, leading to the production of collagen, elastin and certain enzymes to support the skin. There seems to be an array of medical research out there on the internet supporting these claims. 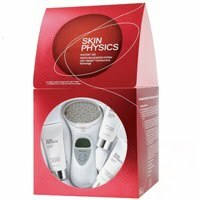 Skin Physics has adopted the red light anti-aging theory and using 660nm wavelength LEDs and have brought out an at home unit that anyone can use in the comfort of their own home. 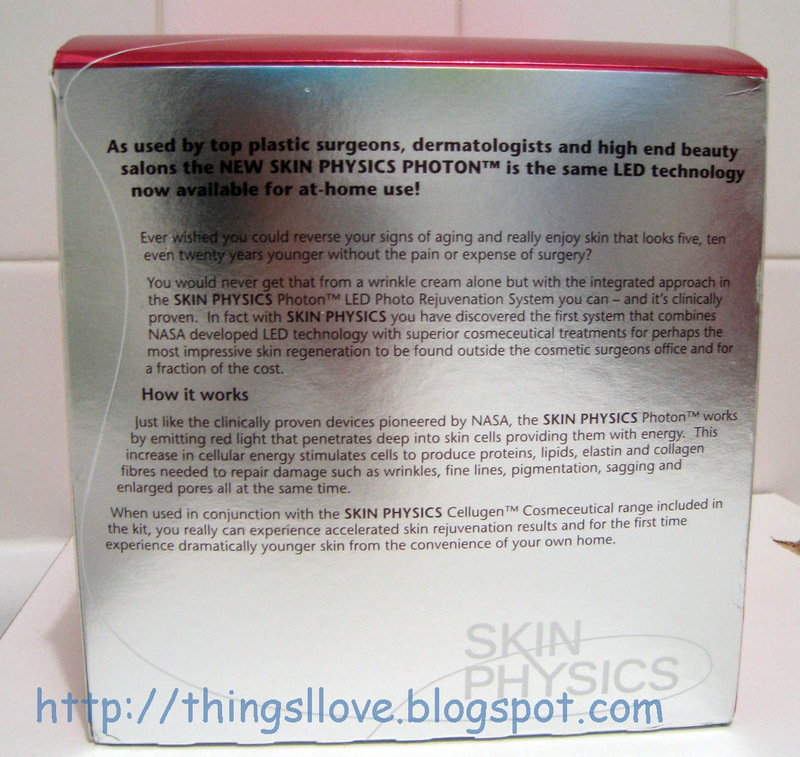 I was very excited to receive this as I have been wanting to try out photon therapy to see if it would help with my acne scarring, reduce those tell tale fine lines underneath my eyes and improve my skin texture and pigmentation. It's been 4 weeks since I started using the LED device before writing this review. 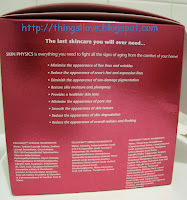 The Skin Physics unit came in a in a well presented shiny red box showcasing the products through a clear window - it felt like a wrapped Christmas present. The kit came with a hand held photon unit, 3 trial size skincare products (separate review on these soon), a charging cradle and a multi-voltage charger with different plug adaptors so you can take along for use anywhere in the world. It also include a red pouch to store the unit and a pair of goggles to wear when using the photon device. This unit takes around 3 hours to fully charge up and each charge will last just over an hour of use. The great thing about this photon device is that you can use it as a portable or plugged in so you're never caught out of battery during a session. Once turned on, the LED lights are activated by sensor so the light turns off when it is not placed flat against the skin. The brightness of the light is initially distracting but is not harmful to the eyes. I find the best time to do the treatment is while watching TV as my eyes are focusing on something else in the distance and not being too distracted by the red LED lights. I ditched the goggles as I found it uncomfortable to use and did not find the light too blinding as long as I was not looking directly into it. See how bright it is when on? The instruction manual was pretty hopeless at explaining how to use the device. The DVD fared better at explaining how to operate the unit with a demo but still left a lot to be desired in terms of giving clear easy instructions. After some research on home LED therapy devices and reading alot of information online, I decided the adopt the method similar to that advised with use for another red light LED device, the Baby Quasar (BQ). 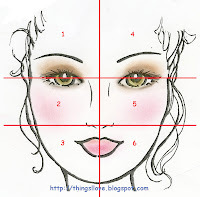 Start off by sectioning the face into 6 zones – the left and right forehead, left and right cheeks and left and right bottom sides of face. I start off stimulating the cells of my skin by using the constant mode (where the light is on continuously) to shine my whole face. As the constant mode is only a 3 minute section, I do 2 cycles to prep my skin for 1 minute in each zone (total of 6 minutes). There is a 30 second timer which is handy as I move the unit around in one zone for the duration of 2 beeps. I then switch the device to a pulse mode (where the lights flashes) and complete a full cycle (each cycle on pulse mode is 4 minutes) for each facial zone, ignoring the 30 second beeps and just concentrating on that single area for the whole cycle. All up it takes 30 minutes to complete a single session for me. For an extra treatment on problem areas (eg. 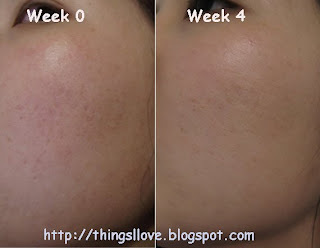 on new scar, blemish or bruise) – I would do an extra cycle on the area in constant mode. Does it stack up to its claims? Here's my verdict after one skin renewal cycle (4 weeks). No real noticable difference in the 4 week time frame. The fine lines under my eyes do appear slightly softer. I don't have crow's feet, no real noticeable difference to expression lines. Diminish the appearance of sun-damage pigmentation. No changes to pigmentation around the eye area. 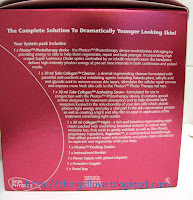 Whilst it did also help to control my oil production, the photon unit seems to dry up my skin considerably, causing skin sensitivity and lots of dry flaky patches on my cheeks and sides of the nose. I am cutting back on usage as I may have potentially over stimulated my skin with the aggressive use of the LED light. 100% agree there. My skintone is more even the next morning and dark circle are lighten. I can finally fake the 9 hours sleep effects when I use this device. No change here yet- my pores are as large as ever. 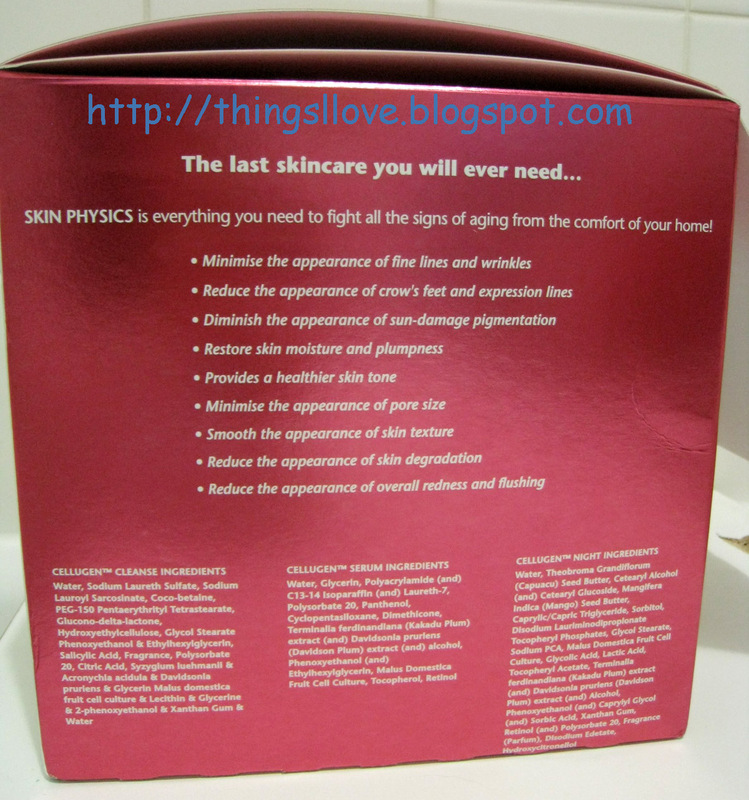 It has firmed up my skin considerably but due to the dry patches, I wouldn't say it has smoothed it. Also I can't say that my skin firmness entirely due to this product as I was also using rose hip oil as a night treatment serum. Again the flaky skin makes it hard for me to say that my skin has not degraded. My skin is usually calmer and less red. Only the sensitive areas caused by the dry patches are slightly red. Great for healing small blemishes and new scars - white-heads were healed in a day and the red marks disappeared from that area within the next. Not as effective on older scars. Sped up recovery of wounds and bruises - the bruise on my leg faded within 3-4 days rather than the week it can normally take to heal. Can be incorporated with skincare products during the LED session. I've used it with rose hip oil and vitamin C serum and they also work well. As the unit is sensor activated - it can be tricky for the light to be on when trying to focus it on areas that are not flat (eg contours ceekbones, arms, legs)- I wish the sensor wasn't so sensitive. I love it alone for the skin firming abilities when used with rose hip oil and the even skin tone it gives me. These two improvements alone for me is worth the high price of the unit. If I can get it to work without drying my skin, I'd love this product even more. I'll continue to use this unit twice a week and do another review after more than 3 months use to see if the other skin benefit claims do eventuate. I'd love to be able to compare this device with the Baby Quasar as that has red LEDs as well as infra-red LEDs which penetrates deeper into skin tissue to improve blood circulation and boost the body's ability to repair itself. So are you curious about photon therapy? What you think about LED rejuvenation therapy? Rating: 8/10 after 4 weeks use (higher if it didn't cause dryness). 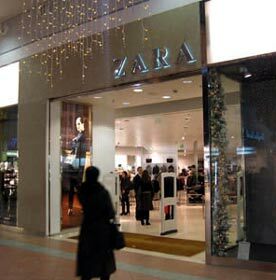 Spanish based Zara Clothing (part of the Inditex Group) is a global fashion powerhouse, famous for being able identify the latest fashion trends and have them for sale worldwide in as little as two weeks. Zara has finally decided hit our shores and 3 weeks ago announce its intention to set up shop in Australia next year. Now Westfield has confirmed that the first Australian store will open at Westfield's Pitt Street Mall shopping centre in Sydney. According to news reports, it will be 3 levels of retail spacing covering just over 1800 square metres. That's enough fashion to to suit every taste, especially when new styles come out every few weeks. I don't yet own any Zara pieces yet, but look forward to being able to get into a shop and check the hype out all for myself, particularly when a store hits Melbourne. Will you shop at Zara when it opens in 2011?